Born in Hastings, Nebraska; her family moved to Colorado Springs in 1945. She graduated from Cheyenne Mountain High School in 1955 and married Lew later that year. They moved to their first and current home in Cascade in 1956. 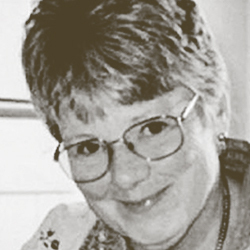 Jan always had the heart of a historian which she used to author many newspaper articles and editorials, which led to books including Utes:The Mountain People, A Quick History of Ute Pass, co-author of Pikes Peak: America’s Mountain Official Guide, and Executive Producer of the documentary film Bear Dance. She also created paintings, batiks, and award winning pottery. Jan enjoyed trail riding (being an original member of the Aspen Poppers), jeeping, and campfire gatherings with her family and friends! 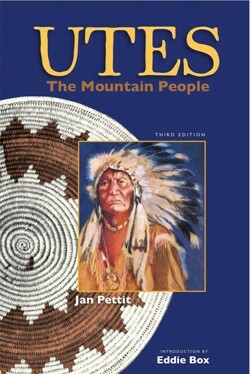 Jan was the founder of the Ute Pass Historical Society and developed educational programs with support of the Ute People which have been presented nationwide for the National Parks Service, the National Association of Interpreters, Colorado-Wyoming Museum Association, Colorado Outdoor Education Center and thousands of school children and educators. Jan also served as director of the Pikes Peak Hill Climb Museum and consultant for exhibit developer of the Pro Rodeo Hall of Fame.